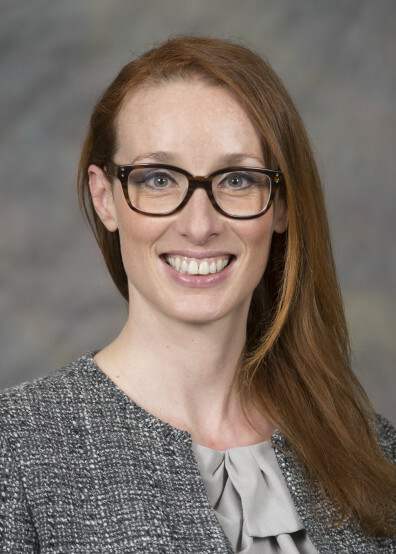 Melanie-Angela Neuilly, Ph.D., is an Associate Professor with the Department of Criminal Justice and Criminology at Washington State University. Prior to joining the department in 2011, Dr. Neuilly taught for five years at the University of Idaho. She received a Ph.D. in Criminal Justice from Rutgers University in 2007, and a Ph.D. in Psychology from the Université de Rennes in France in 2008. She teaches graduate and undergraduate courses on criminological theory, comparative criminal justice, homicide and violent crime, and research methods. Generally speaking, Dr. Neuilly conducts comparative research on violence and violent death. More specifically, she is interested in issues surrounding measurement and data collection processes, particularly as they pertain to medico-legal practices of classifying death. Dr. Neuilly is currently spending most of her research time focusing on the analysis of the data collected during her long-term comparative field research on medico-legal practices in France and in the United States. This project was partially funded by a WSU Seed Grant and an International Travel Research Grant from the WSU Office of International Programs. Over the course of ten years, Dr. Neuilly collected qualitative and quantitative information on investigations and post-mortem examinations of over 700 deaths at four sites: one large medical examiner’s office on the East Coast of the United States, one mid-sized coroner’s office in the American Intermountain West, one mid-sized medico-legal institute in the Western region of France, and one large medico-legal institute in the Southern region of France. Based on these data, Dr. Neuilly has identified the major differences between the medico-legal systems, as well as established influences pertaining to individual medico-legal practitioners’ characteristics. Dr. Neuilly’s research helped inform SSB 5256 “The Confidentiality of Certain Autopsy and Postmortem Reports and Records,” which was passed during the 2013 Washington State Legislative session. Aside from her main research focus, Dr. Neuilly also examines how research methodologies influence research findings in criminology, for example when it comes to establishing recidivism risk, or how qualitative methods open up new avenues for criminological research. In addition, Dr. Neuilly is also interested in general theoretical questions as well as feminist theorizations of crime. Dr. Neuilly is also deeply engaged within her community, whether at the university level or in Moscow, Idaho, where she lives. Aside from fulfilling her departmental obligations (most recently as Graduate Director), she has served as Chair of the WSU President’s Commission on the Status of Women, Chair of the WSU Task Force on Paid Parental Leave, as an At-Large representative for the WSU Faculty Senate, and is on the Executive Board at Moscow Day School. In all these roles, she strives to promote social justice and gender equity, and to be a voice for the voiceless. Criminological Theory, Crime Control Policy, Research Methods, Qualitative Methods, Homicide, Comparative Criminal Justice, Criminal Justice Study Abroad. Lethal violence; public health; medico-legal practices; mortality statistics; comparative criminal justice; qualitative methods. Death and taxes: The pervasiveness of inequities beyond life. This monograph is the culmination of Dr. Neuilly’s research on medico-legal practices, and her main sabbatical project. It will be directed toward a general audience, while maintaining the rigor expected of academic press publications. Extent, characteristics, and influence of police involvement in the death certification process in France and in the United States. Homicide investigations start with the sometimes arduous task of identifying whether a death is a crime. For that reason, the involvement of police on death scenes is not limited to suspected homicides. One could argue, however, that to a hammer, everything is a nail, and previous studies have indeed shown that the precision with which death is expected to fit in the categories of homicide, suicide, accident, or natural is socially constructed. This is made particularly evident in an international context. In order to ascertain the possible role of the police in such a social construction of death, the present study analyzes autopsy narratives as well as field notes from four medical examiners’ or coroners’ offices, two located in the U.S., and two in France. Such content analysis reveals points of congruence as well as divergence between sites and countries in the ways in which police get involved in death investigations, the former pointing to some level of universality in the ways deaths are constructed, while the latter are evidence of the relativity of the social construction of death. The analysis also identifies the factors associated with those points of congruence and divergence. Deaths Stories: A Qualitative Analysis of Autopsy Narratives (with Brooke Benecke & Olivia Rudisill). Both public health and criminological research heavily rest on the use of mortality statistics. Most often though, it is the numbers that are the focus of such scientific interest, reducing the depth of information present in autopsy files to continuous or dichotomized variables. In the present study, we provide criminologists and public health scientists with a different perspective on mortality data. Drawing from a sample of 720 autopsy reports collected from a coroner’s office and a medical examiner’s office, we present a qualitative content analysis of homicides, suicides, accidents, and natural deaths reports, offering a typology of themes present in each type of deaths. Such a typology provides the basis for further understanding how the death certification process influences the compilation of mortality statistics, which in turn are used in criminological and public health research. As such, we propose that a better understanding of the death certification process can lead to increasing the quality of mortality statistics, and thus the validity of research findings based on those data. All In the Family: Mentions of Family Dynamics in Homicides versus Other Types of Autopsy Reports (with Breanne Posey). As research focusing on the impact of Adverse Childhood Experiences on manner and time of death is gaining in traction, we seek to examine mentions of family dynamics in death reports. For this project, we use a sample of autopsy reports from two United States locations; one coroner’s office in the intermountain west region and one medical examiner’s office in the northeastern region. Using qualitative methods, we assess (1) how often family dynamics are mentioned in reports, (2) in what terms they are mentioned, (3) whether the frequency and themes of family dynamics mentioned in reports vary by type of death (i.e. violent versus non-violent, homicide versus accident, etc. ), (4) and if there are differences in reporting practices between medical examiners and coroners offices. The goal of our research is to assess whether autopsy reports can provide enough information pertaining to family dynamics in order to contribute to the research on Adverse Childhood Experiences from a death prevention perspective. Mothering from the Field. This edited volume under contract at Rutgers University Press surveys the experiences of women who have to conduct field research while parenting. The book’s main foci are policy recommendations and practical tips for aspiring field researchers in quest of work-life balance. Exploring the Characteristics of Violent Death Reports for Children in the United States, Child Abuse and Neglect, 2017. Within and Inter-Institutional Difference Between Death Certifiers on Autopsy Conclusions, Journal of Interpersonal Violence, 2016. The Art of Conferencing, Journal of Criminal Justice Education, 2016. The Reality of Field Research with a Family: Turning a Nightmare into Memories, The Criminologist – Criminology Around the World Feature, 2015.